Lovelytheband will hit the road this spring on a North American headlining tour. The run kicks off March 26 in Peoria, Illinois, and includes a stop in Nashville and St. Louis. 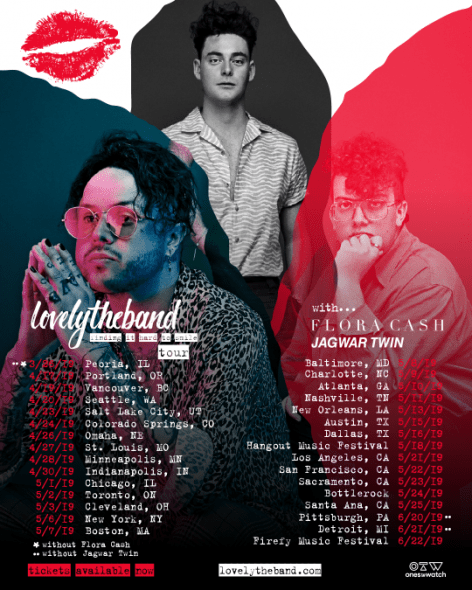 Tickets for the tour, which will feature support from Flora Cash and Jagwar Twin on select dates, go on sale Friday, January 18 at 10 a.m. local time via lovelytheband.com.